Todd Baldi is the Senior Team Leader - Special Assets Group at Urban Partnership Bank, a community bank in Chicago's south suburbs. He holds an MBA from Illinois Institute of Technology, Stuart Graduate School of Business and a BS from San Diego State University. He also holds Certified Turnaround Professional designations. He has over 10 years of loan workout experience and has worked for multiple brand name companies including American Express, Fidelity Investments, Berkshire Hathaway and Merrill Lynch. John is a director and senior account executive with AloStar and responsible for the resolution of the bank’s criticized asset based lending relationships. He has over 19 years of experience in middle market commercial lending including over 10 years of loan workout experience. After serving in the United States Army, John earned a degree in accounting from Georgia State University. John built his financial career with experience at GE Capital, UPS Capital, First Capital and Regions Bank. He joined AloStar in 2014. Alan Leavitt founded Lane Capital Partners in 2008 and currently oversees all aspects of loan acquisitions, due diligence, deal execution, and portfolio management. Prior to founding Lane Capital, Alan co-founded Rossrock, LLC in 1992 and served as a Managing Member until 2008. For the past two decades, Alan handled the acquisition, asset management, and service for an excess of $1 billion in face value of sub-performing, non-performing, and performing mortgages. Alan is a Certified Public Accountant (inactive) and received a Bachelor of Science in Accounting from the City University of New York. Robert has over twelve years of financial services experience. Prior to opening the North Carolina office for Sandton Capital, he was part of the 2005 founding team at the de novo Square 1 Bank, where he held a variety of general management and corporate development roles in growing that institution to over $1 billion in assets. Prior to that, he was a management consultant, most recently with The Monitor Group. At Monitor, he had extensive experience advising financial institutions and other large corporate clients on growth strategies. He received his MBA from the Stanford Graduate School of Business and his BA from University of North Carolina (Chapel Hill). Walter has been in the banking industry for 29 years and has been handling troubled loans for 25 years. Walter has worked at Citibank, Dai-Ichi Kangyo Bank and Fleet Bank in various lending and credit capacities. Walter is currently the Managing Director of the Special Assets Group at CapitalSource. During his tenure at CapitalSource he has also served as Chief Credit Officer for the Corporate Finance Business and the European Lending Business. Walter is a CPA and has also been a CFO and co-general manager of a metal stamping company and a Crisis Manager of a Frozen Novelty company. Stephen Taglione is Vice President and Senior Sales Manager for the Fifth Third Bank directing the sale of OREO and distressed notes for the South region (Tennessee to Florida). During his 5 year tenure with the Bank he has directly closed or supervised the closing of over $500 million in distressed assets. Steve has nearly 12 years of banking experience in addition to 20 years of experience in real estate building, development, management and brokerage. Prior to rejoining Ocwen in January of 2010, Mike was a loan officer with Red Capital Group for three years and MMA Financial for four years and originated over $400 million in loan and equity financing involving market rate, students, senior and affordable housing properties. He also has prior associations with Ocwen Federal Bank (1997 to 2002), Fannie Mae, and Equitable Real Estate. 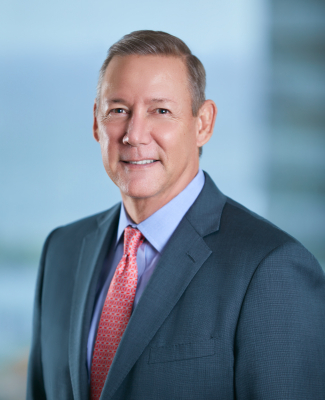 He has over 30 years of commercial real estate experience (almost exclusively in multi-family activities since 1992) ranging from origination, asset management, disposition, and workout activities. Mike has a B.S. in Accounting from St. Peter’s College and an M.B.A. in Finance from Fordham University.